Making banana bread is a great way to use up over ripe bananas. 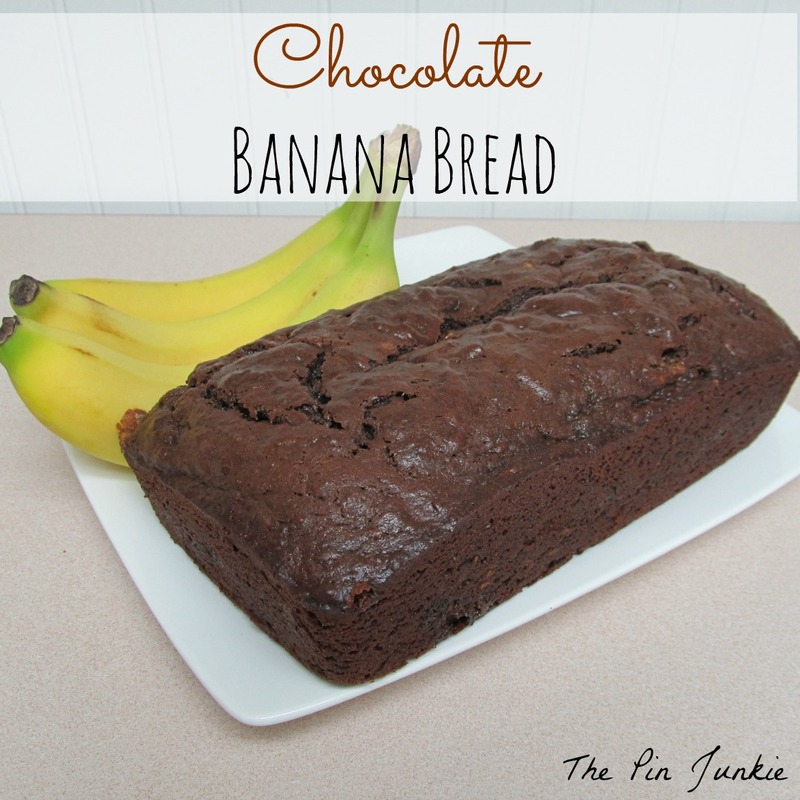 I have an old family recipe for banana bread, but when I saw this one with chocolate, I knew I had to try it. In my mind chocolate makes everything just a little bit better and I wasn't disappointed. This banana bread is moist almost like a cake. The chocolate isn't too sweet, and reminds me of dark chocolate. 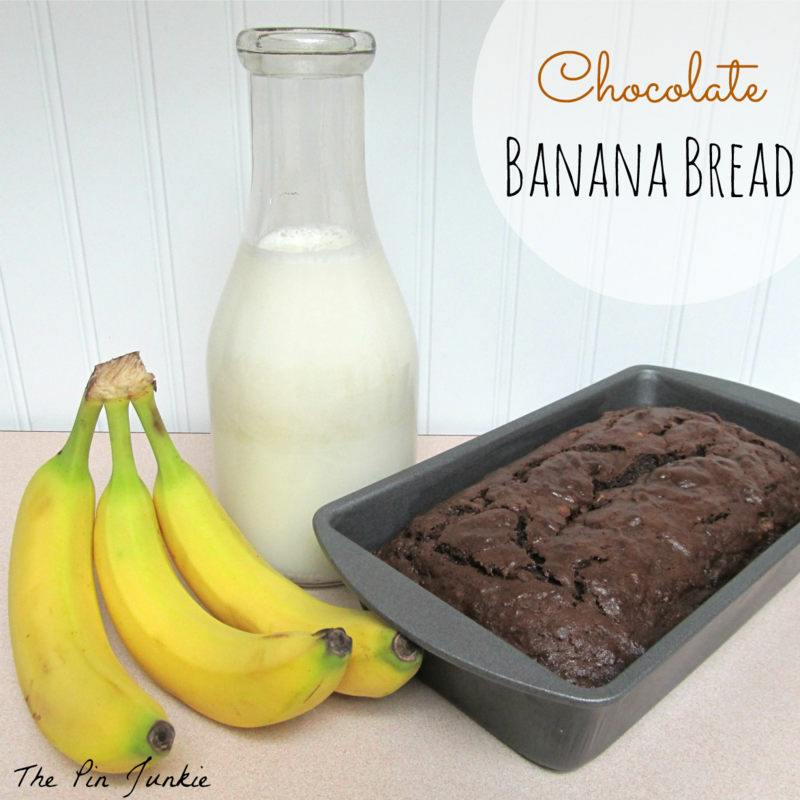 The mellow sweetness of the bananas pairs beautifully with the chocolate. This bread didn't last long, we ate it for breakfast, snacks, and desert. The original recipe is at Whisk & Knife. It was delicious the way it was, but I'm wondering if chocolate chips or nuts would be good to add. I'll have to make it again to find out! If you decide to try this recipe yourself, please not that the recipe says to heat the oven to 180 Celsius. So make sure you use the equivalent which is 350 Fahrenheit. I think walnuts would taste great in this. Anytime chocolate is with banana I am in! This sounds and looks delicious and super moist. Love it! Great recipe. This looks amazing!! I love bananas but unfortunately my husband does not and my son is allergic so they always seem to spoil before I can use them all, but this is a perfect way to use them up. I'll definitely be pinning this to save for later. Thanks! You are so right........chocolate makes everything better. I can't wait to give this recipe a try. Thanks for the heads-up on the temperature conversion. Please check out the Seasons on Saturday Link Party going on right now!! This sounds and looks amazing. Thanks for sharing. I am sharing it on my FB! Oh so yummy! Thanks for sharing it on our BeBetsy Brag About It party!! Really appreciate you coming over. Great recipe! I don't bake my banana bread in a loaf pan though. No matter what I do, the edges burn before the middle is done. I poured the batter into a 9x9 square pan, and baked it for 26-27 min, and it came out perfect. I found you through your link at the Hope Studios Tutorial Tues. I agree - more chocolate is better! I think chocolate chips would be fantastic! This banana bread is so moist, you could bake it and serve it as a cake. I'm so glad you tried it and liked it Jill. Thanks for stopping by! This looks way better than the banana bread that I bought yesterday from Starbucks. I really should have just made my own. I don't think that there are two thing that go together better than bananas and chocolate. This looks amazing! Thanks for coming by and partying with us. I hope that we'll see you again next week. Oh my goodness, this looks delicious! it's pinned! This one looks delish and will definitely have to to make. found you at Thursday Favs blog hop by Sew Crafty Angel. Are you on Bloglovin'? lmk so I can follow you. 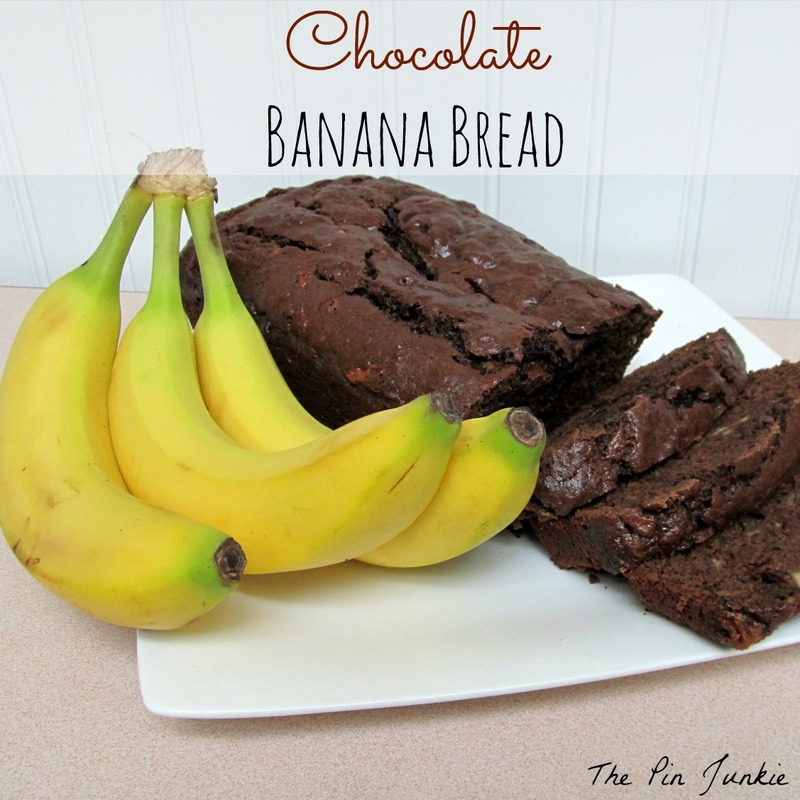 Oh my why haven't I not thought of this... brilliant chocolate and bananas of course! Thank you so much for sharing your bread with us on foodie friday. Oh my goodness is right! I never thought to add chocolate to my banana bread. I think you are right too, chocolate chips can never be a bad thing! Thank you for spreading JOY and sharing at the Oh What a HAPPY Day party. Yum! Thanks for pointing us to this recipe. Sounds delish! I pinned it. I love bananas and chocolate, so this has to be good! A chocolate lovers dream for sure! Thanks for sharing with SYC. Yummy! Thank you so much for sharing at Give Me The Goods Monday! I love banana bread & have never made chocolate banana bread. But, no one else eats banana in my house. Maybe I can make one & freeze it by the slice. Thanks for sharing & linking up @ DearCreatives.com Theresa PS Happy 4th! Hi this looks so good. I saw it on create & inspire. I have a similar recipe with white chocolate and cashew nuts! It is the best way to use bananas other than eat them by themselves! Yum I believe you when you said it didn't last long!, looks delicious! Another great recipe! Thanks for sharing on Tried and True recipes!